Antonio Lavareda, Bachelor of Laws and Journalism, Master in Sociology and a PhD in Political Science (Iuperj). He was professor and coordinator of the Master in Political Science UFPE and visiting researcher at the University of California (Berkeley). He is currently CEO of MCI Strategy (GMT) and Chairman of the Scientific Council of the Institute of Social and Economic Policies - IPESPE (Recife). 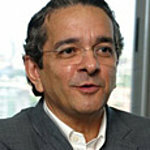 Professor, Graduate in Political Science from UFPE.